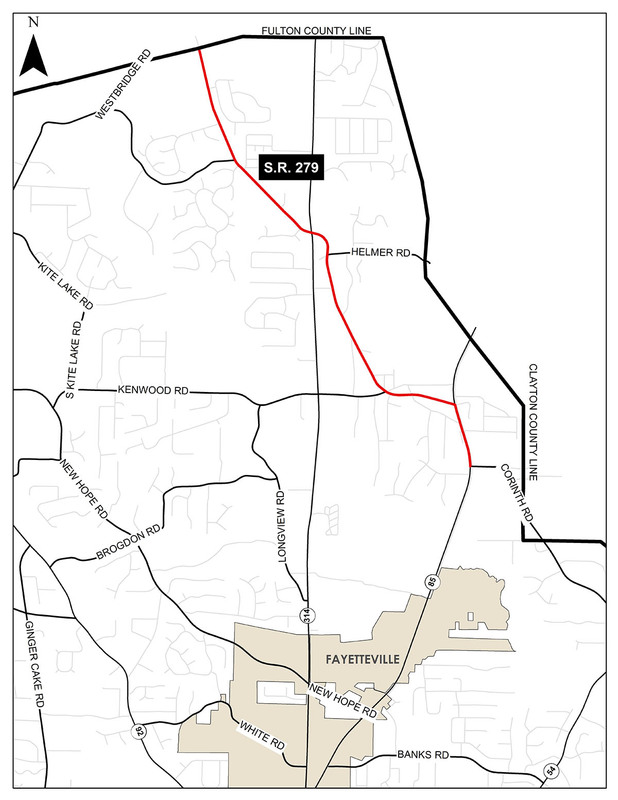 This planning study focuses on State Route 279 and extends from the Fayette-Fulton County Line to SR 85 down to Corinth Road. The purpose of this study is to quantify existing conditions and develop a transportation vision for the corridor via community driven engagement. The SR 279 Corridor Study is one of four corridor planning studies included in Fayette County’s 2017 SPLOST program. The corridor studies are a collaborative project between Fayette County, the Atlanta Regional Commission, and Fayette County’s consultant, Croy Engineering, LLC. 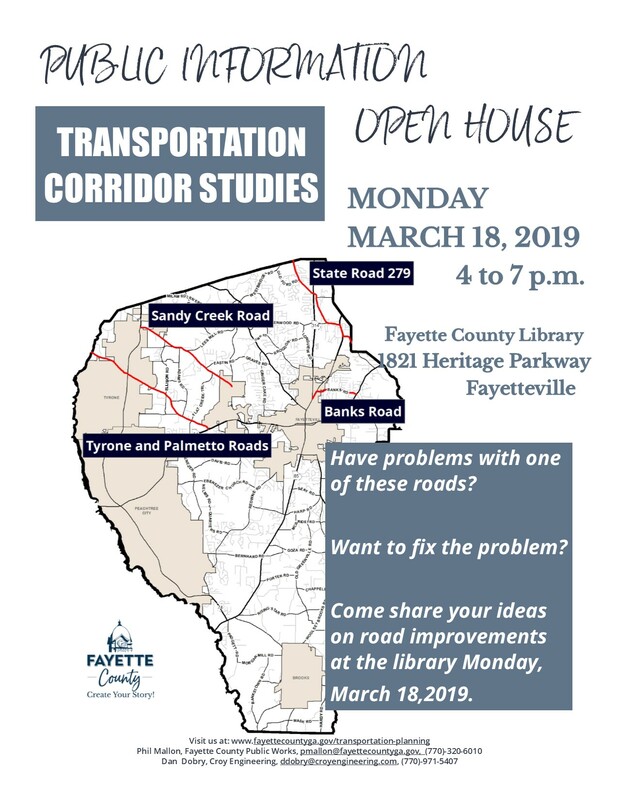 PUBLIC INFORMATION OPEN HOUSE 1: Monday, March 18th, 2019 at the Fayette County Public Library from 4 PM to 7 PM. Click here for meeting flyer.